INDUSTRY.co.id - Tangerang - The increasingly stable market for used cars, carmudi.co.id optimism in running its business this year. In order to strengthen the automotive business and build an automotive business ecosystem, carmudi.co.id also presents the latest services, namely the sale of new cars with various benefits. One of the steps taken is by acquiring a business to buy and sell a new car gudangmobil.id. The local startup company was taken over by carmudi.co.id to smooth the way through the new car buying and selling business in Indonesia. Carmudi.co.id CEO, Nimash Stefano Kirihettighe said, the advantages offered by Carmudi in this new business are increasingly diverse. 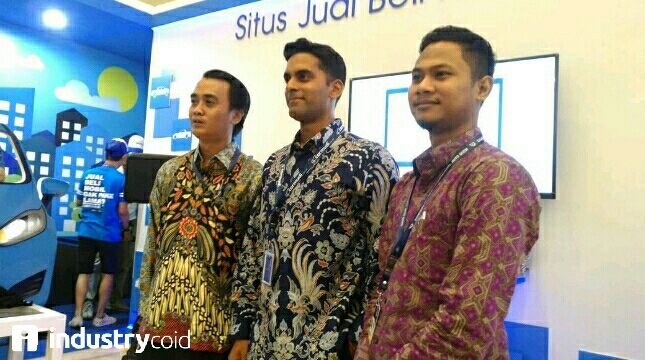 "Like the convenience of consumers in choosing new stock ready cars, test drive units that can be brought to consumers' homes, full service financing institutions and the benefits of getting a lot of after-market product service bonuses," Stefano said at the Carmudi booth on the Gaikindo International Indonesia Auto Show (GIIAS ) 2018, at ICE BSD, Tangerang, Monday (6/8/2018). During the GIIAS 2018 event, carmudi.co.id service offers after market product vouchers worth Rp15 million, gasoline vouchers of Rp500 thousand and cashbacks of up to Rp2 million for the purchase of all types of cars.